Special Service Area #51 - Chatham Cottage Grove is dedicated to promoting and marketing the local businesses within its boundary. SSA #51 holds multiple events a year that gives Chatham's Small Mom N Pop shops the opportunity to showcase their talents and products. SSA #51, partnered with Chatham Business Association's Small Business Development Resources, allows Small Business to have continued support in the areas of technology, marketing, finances, contract opportunities and more. 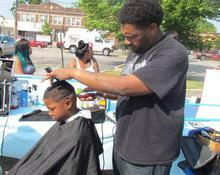 Free Haircuts and Styles are provided to all youths under the age of 18 that are returning to school. 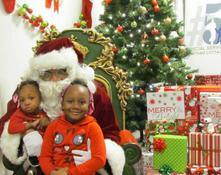 All Barbers and Salons are encouraged to market to their current and new clients. Local restaurants in Chatham are featured at Chatham Business Association's Quarterly networking event. 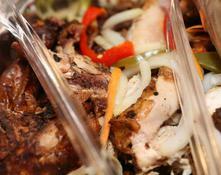 Each restaurant is asked to provide one of their best dishes along with their marketing materials. 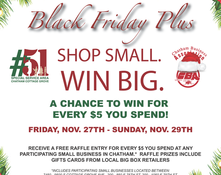 Residents and Customers of Chatham are invited to shop at local Small Businesses in SSA #51. During Black Friday Weekend, Every customer has a chance to win prizes for every $5 they spend.